In one of our recent articles on The GovDesignHub, we explored the importance of collaboration in manufacturing. From concept to creation, it’s vital that designers, engineers, and manufacturers take part in each step of the process to ensure a product that is not only beautiful, but also functional. Today, we’re taking an even deeper dive into the importance of collaboration by looking at simulation. Early decisions on projects are often made in siloed work areas, but collaborating throughout the process – and incorporating simulation to test as you build and design – will ensure a positive outcome. With simulation, there is no need to wait on prototypes for physical testing. Instead, simulation pulls data from the design and projected work to test options, helping your team decided on a clear path forward. 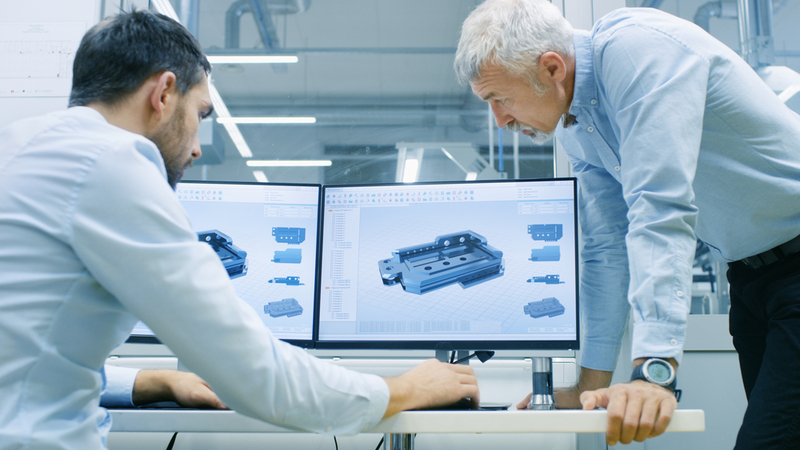 Simulation allows designers, engineers, and manufacturers to test new parts in an experimental phase which helps reduce costs as well as research and development time. Through simulation, producers gain detailed information about the materials and structures they’ve chosen, without the possibility of human error. In a survey by Tech-Clarity, engineers reported benefits of simulation as a development tool stating it produces more innovative designs, requires fewer prototypes, and reduces time to market. Simulation has many uses that help the design flow, from flagging potential issues early in the design process to testing for performance specs, simulation offers data that can positively inform the decision-making process for a product. Testing the linear static stress of a part is just one-way simulation can be used to better a product. To test linear static stress, materials must be assigned, and contacts made if multiple parts need evaluating. Using a digital model, materials and data are carried over, contacts are automatically detected, and meshing happens with little adjustment required. Next, loads must be assigned to the product parts as they would be in use – this is essential for accurate results. The linear stress analysis that this simulation produces offers information on resulting stress, strain, and safety. These results can be used to optimize the strength of a product, determine if the material being used is the right fit, and allows the team to evaluate if the design needs to be edited before the concept moves to production. In product design, it’s important to remember that all things create natural frequencies when they vibrate. If a frequency is produced that makes a part of a product naturally vibrate, it could shatter. Using simulation to test, designers and engineers can be sure their product is durable before handing it off to production. Like the linear static stress test, materials must be assigned, and the model must be meshed but digital models take care of most of this. Once the simulation is complete, data on natural frequencies and mode shapes will be available that may influence the designs material and structure. While both previous simulations provide information on potential damage, they are not accurate predictors of how well a part will hold up over time. Deterioration is part of any product lifespan, but it’s helpful to know just how many uses will cause it to fatigue. Fatigue tests use information pulled from the digital model and require a few extra details like high-cycle or low-cycle fatigue to be completed. This simulation provides the number of uses a product can endure until it fails and identifies those areas of failure. This helps the builder to understand the product life-span, and offers a glimpse into the materials and parts that may fail and could be replaced for longer durability. Having the necessary design software is only the first step to creating a great product. Utilizing tools like simulation can reveal weak spots in design and open the opportunity for improvement. These tests are just a few ways simulation can be used to create more advanced designs. Being able to design, test, and correct, allows teams to achieve better product outcomes. Jackie is a writer for the GovDesignHub. Her past experience includes B2B marketing, public relations and journalism. 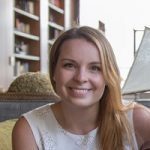 She currently writes about the satellite industry, IT, finance and military technology for multiple online publications. Jackie holds a Bachelor of Arts in Communications from LeMoyne College.